Purley Bury Tennis Club is a Registered Charity (number 1176144) with modern tennis facilities and a unique ambience, set in tranquil grounds in a leafy oasis in Purley, Surrey. We welcome new members of all ages and all levels of play. Welcome to Purley Bury Tennis Club. We welcome new members of all ages, all abilities and all levels of play. A very spacious and comfortable clubhouse. A fully licensed bar offering excellent choice and value for money along with a regular series of social events. A range of different membership packages to suit. Whatever your level of play, there is always plenty going on at Purley Bury. 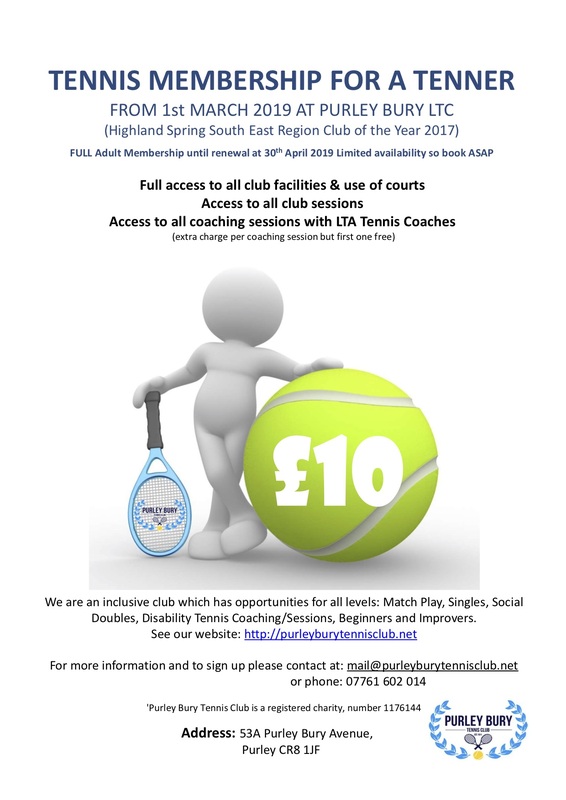 There is a thriving set-up for competitive and social tennis, plus top quality coaching for those looking to improve their game, and a thriving junior programme lead by Aegon National Coach of the Year, Mark Love, and his MDL Coaching team. Competitive play is of a high standard too, with a range of teams and tournaments suitable for club and county level players. 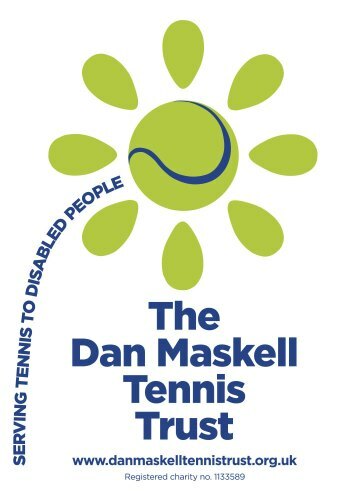 Purley Bury Tennis Club disabled coaching is generously supported by The Dan Maskell Trust. We passionately believe in clearly communicating with our members to inform them of club news, upcoming social events, social & club play, tournaments and coaching events. Are you looking for a venue to hire? Purley Bury Tennis club is an excellent venue for any Adult or Kid’s Party or Family Get-together and the best part, it won't break the bank! 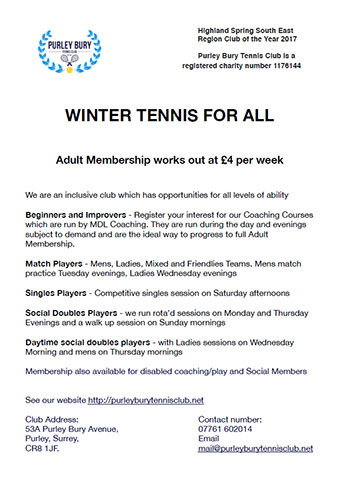 Purley Bury Tennis Club, 53A Purley Bury Ave, Purley, Surrey, CR8 1JF.